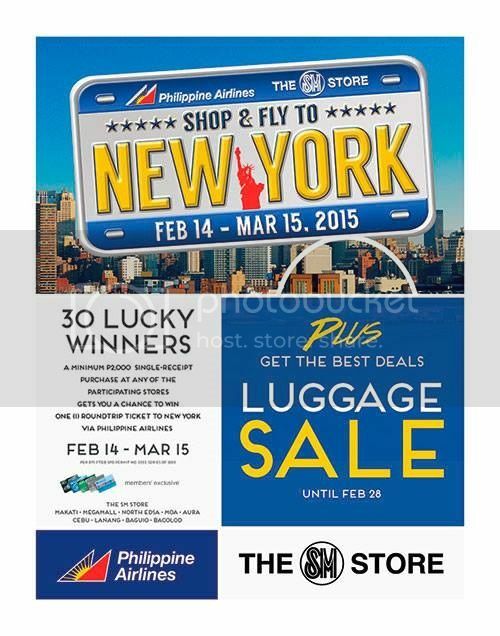 Its now your chance to travel to the great city of New York thru the SM Store Shop & Fly to New York Promo for 2015. You shop for your select shoes, dress and any accessories to get closer to winning the free visit to Ney york. What do to? Simply purchasing a minimum P2000 single-receipt purchase at any of the participating SM store gives you many chances of winning 1 roundtrip ticket to New York via Philippines Airlines.